pitbike mx books, publications and paperbacks to own. Pitbike MX Books to Treasure. There are books to spell out the details for any sport a person is interested in, including pitbike MX books. Three top books in particular give a lot of knowledge in such a way that even someone new to the sport will find it useful. Hints about the tools needed for ordinary repairs and ways to choose the right bike are two examples of why these books are so popular. 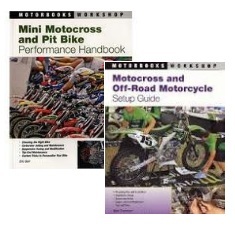 Available in paperback, Mini Motocross and Pit Bike Performance Handbook by Eric Gorr is possibly the most comprehensive handbook for anyone interested in mini motocross and pit bikes ranging from 50cc to 250cc. There are useful tips on how to teach kids how to ride a two-wheeled motorized bike safely. Cautions about braking and accelerating teaches new riders the proper method of riding. 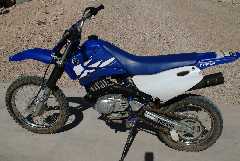 Most importantly is the lesson that even though a pit bike is small it needs the same amount of care as larger models. Find out how to modify your bike for peak performance and how to know which size and type of pitbike is best for you. Those uncertain of how to perform basic maintenance will discover easy to understand procedures for both two and four stroke bikes, including carburetor care and how to customize suspension. Originally published in 2004, Evans Brasfield includes the most important information those interested in sports bikes need to know. MotorBooks International published the 256 page book, which is still available in print and now as an eBook. Experienced and new riders will appreciate the detailed how-to sections for modifying a bike with special emphasis on bodywork. Released by MotorBooks International in 2010, this 144 page book by Mark Thompson is available as an eBook or in hard copy. It belongs on this pitbike MX books list because of the great presentation of maintenance and setup procedures. Pictures and explanations are understandable and to the point. The advantage of having access to more than one how-to book is that sometimes one explanation makes more sense than another. Get them for your own shop library or give them as appreciated gifts. Even print out some free pitbike coloring pages as a special treat for a childs birthday or special day indoors. Literature about the pitbike and more. Pitbike mx books have really taken off in the US - as has the pitbike and motocross bike over the last few decades. Pitbikes are essentially small motocross bikes, so both sports are interlinked; you will find many dirt bike books carrying information about pitbikes too. If you’re going to be a studious pit biker you’ll want to read up on the best information you can, and although we’ll always have the net, sometimes information can be absorbed better by curling up with a great book. Lots of publication houses have now realised the fan base for some products. With the advent of super cross superstars and motocross heroes it was only a matter of time before those company’s began exploring the pitbike as well. We’ll have a look at some of the better motocross and pitbike MX books on sale today. So you can save your time for the track. Where better for our first pick of some great pitbike mx books; than amazon.com. A massive bookstore for us motorbike kingz. If you want help on a custom bike or publications about fixing up that second hand motorcycle; amazon has it all. 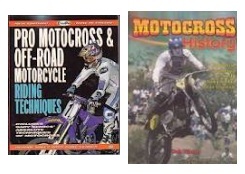 What about these mx books? Pro Motocross and Off-road Riding Techniques by Donnie Bales, for a mere £11.89. And the Motocross and Off-road Performance Handbook, selling new for £13.99. Both publications had rave reviews, and the latter book has been commented on as the bible of dirtbikes. Be aware the Motocross and Off-road Performance Handbook – was first published in 1996, so it’s great for those lovers of classics, but newer bikes might not be catered for. Or if your into vintage off road motorcycles & how the new riders have evolved what about - Motocross History: From Local Scrambling to World Championship MX to Freestyle (A pitbike mx books Mxplosion!) At a very low priced £4.74. Certainly as titles go, it’s not one that might remain at the front of your mind, however if you want to know the roots of motocross this is a solid publication. Merlinbooks.com have a nice selection of offroad literature for whatever u like. The picks below should give you a number of ideas. Plus they have more Books, Manuals & Video/DVD options for the lovers of the dirt bike. Ten Days in the Dirt gives out “The Spectacle of Off-Road Motorcycling” priced to sell at £12.99. 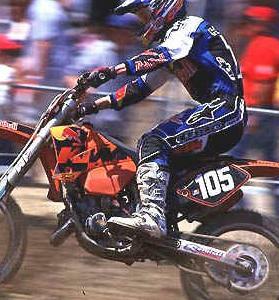 Great names from the game are all there - Ricky Carmichael, Mike Kiedrowski and Stefan Everts to name a few. For those riders who want help during their parks adventures, merlin sell “Pro Motocross & Off-Road Motorcycle Riding Techniques”, selling at £16.99. Mostly in colour this book covers getting great starts, practice on your MX wheels, adapting to different pit bikes and strategy for tires in your up-coming races. Finally we took a look at mxtrainingjournal.com. For $39.95, you get some superb Motocross Fitness Training Software. 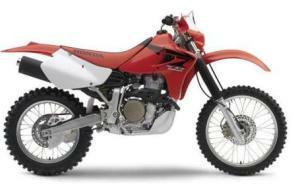 Which includes both MX fitness and dirt bike racing tips. Of course you can always read up for free at a dirtbike forum, and pick up some tips on what’s the best pitbike to buy. But if you have a few well-chosen pitbike mx books on your library shelf for reference you’ll find this will help you on the tracks and trails. Retain that information well; a knowledgeable rider is most often a great one. While your first stop for good motocross & pit bike books might be amazon.com, they are not always competitively priced. Auction sites sometimes give better value and more variety. An author with a reputation are the books and manuals you need to have at the top of your shopping list. Everyone seems to have advice today, and that’s ok to a point. But nothing is like reading from a professionals own perspective. Those riders that have been there and bought the tee-shirt. Books like that will never lose their appeal.